Holla! Our wedding website is practically finished. Put a cherry on top of that WordPress Sundae and call it good. I think I mentioned before that I had planned on creating an absolutely extravagant wedding website using Joomla, Flash, etc. Joomla is wicked hard. Flash is fun, but time consuming. I needed a site that Travis could help me update without having to teach him code or FTPing (even though he’s interested). Instead I turned to my old friend WordPress, found a free customizable template, bought our domain and hosting and voila http://www.durtty.com was born. C’est parfait. I customized the template using our wedding color palette and pictures of St. Croix (don’t make fun of my animated GIF). We’ve added a ton of information about the wedding, St. Croix and travel information. 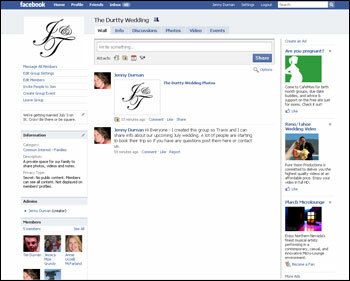 It will be the number one resource for our wedding guests and we will be updating it frequently. I also used Google docs to create an RSVP and newsletter sign-up form. It was super easy.